Think of Sprint as the Little Engine That Could. It's tinkered with 4G perhaps longer than any of America's other major carriers, but it has little to show for it. There are large swaths of the country that don't have LTE coverage and the speeds aren't necessarily that fast in the areas that do. Still, those of us on Sprint's network must hold on to hope. The company is hard at work, and today they've announced the availability of 4G LTE in 41 new markets. 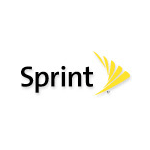 Faster Sprint service is now available in both Brooklyn and the Bronx, along with Philadelphia, Portland, Daytona Beach, and Jacksonville. This update brings the total number of markets up to 151. That's still less than half the coverage of AT&T, but it's progress nonetheless. Will it catch up someday? I think it can. I think it can.